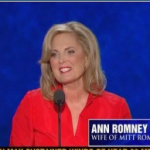 From Mediaite: As the Republican National convention began, Ann Romney, wife of Presidential candidate Mitt, gave a much-anticipated address on Monday night. What did she say? Reports Mediaite, “[S]he spoke of her marriage to Mitt Romney, their family and battles with her multiple sclerosis and breast cancer. She defined why she felt her husband was the leader that America needs at this time in terms that humanized and personalized the Republican presidential nominee. ‘I want to talk to you tonight not about politics and not about party,’ Ann Romney began. ‘Tonight, I want to talk to you from my heart about our hearts.’ Ann Romney said she wanted to talk about the love she has for Mitt Romney, their children and their grandchildren. She also said that she wanted to talk about the love of average Americans, men and women, who labor in anonymity.” Read more and watch her here. 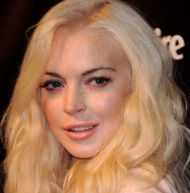 From Gossip Cop: Lindsay Lohan really can not seem to keep her name out of the headlines or herself out of trouble. In the latest, it is reported that she has been banned from posh L.A. celebrity hangout Chateau Marmont after her unpaid tab ran almost $50,000. Reports Gossip Cop, “Lohan resided at the hotel throughout June and July and incurred charges including $3,145.07 in minibar purchases. On July 4 alone, Lohan spent $1,992.07 at the Chateau’s restaurant. In total, she owes $46,350.04. The starlet was informed of the Chateau’s ban via a July 31 letter, in which the general manager noted the venue’s attempts to collect payment, and ordered her to remove her belongings from the property by August 1… A rep for Lohan declined to comment.” Read the article here. 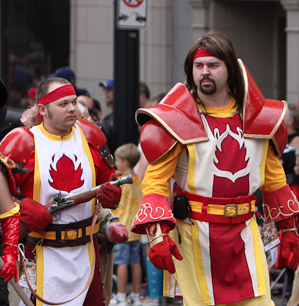 From Geekosystem: Bad news for World of Warcraft fans in Iran: they can’t play the game. Reports Geekosystem, “There are some pretty heavy economic sanctions businesses have to deal with under United States law. A number of these have to deal with Iran, because the US isn’t what you’d call a fan of their government. However, digital goods and the like have a tendency to be mostly ignored; this isn’t because they aren’t against the law, per se, but because it’s a difficult thing to effectively track and stop. 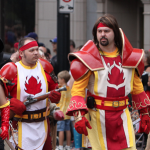 In order to comply with these sanctions, however, it looks likeBlizzard has finally blocked access for Iranians to World of Warcraft.This comes not long after it was reported that Iran was actually blocking Battle.net because it promoted mythology and superstition.” Read the full story here. 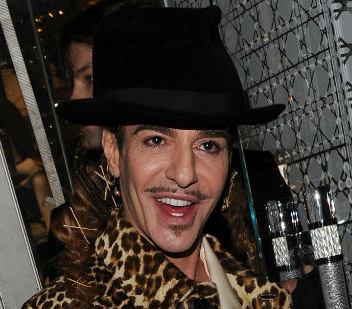 From Styleite: John Galliano, former designer at fashion powerhouses like Givenchy and Dior, and no stranger to controversy, is filing a lawsuit. Reports Styleite, “Less than a week after John Galliano was stripped of his Chevalier of the Legion of Honor award, the designer reportedly filed a suit against Dior.The Daily Telegraph included this juicy bit in a post about Galliano suing Dior in French court: ‘Separately, it is believed that Galliano has lodged an employee/employer dispute claim for over €15 million (£11.9 million) at the Conseil des Prud’hommes, with a Paris hearing scheduled for February 4, 2013.’ Wait, what? Exactly. We’ll update once we have more information.” Stay tuned for those updates here. From SportsGrid: Baseball fans can continue to watch the sport on ESPN, thanks to a colossal deal. Writes Sportsgrid, “For those of you who are into watching John Kruk eat baby back ribs on-air during the Home Run Derby — and less importantly, if you enjoy ESPN’s baseball programming — you are in luck. 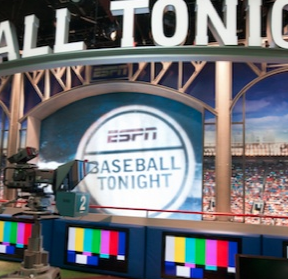 With their deal with MLB set to expire next year, ESPN signed an eight-year, $5.6 billion deal with the nation’s past-time today, retaining their MLB programming until 2021. According to the Sports Business Daily. 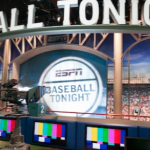 ‘The eight-year deal is worth $5.6B (an average of $700M per year), approximately doubling the nearly $306M ESPN currently pays MLB every year for domestic TV rights. '” Find out why the deal is significant here. From The Mary Sue: Joss Whedon! Marvel! ABC! S.H.I.E.L.D.! All those things are combining, because there’s going to be a S.H.I.E.L.D. television show! Reports The Mary Sue, “It’s official, after much speculation as to what the new television show would actually be, Joss Whedon is in charge of bring S.H.I.E.L.D. to the small screen for Marvel and ABC. 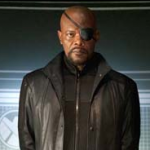 The initial rumblings were that they were teaming up for a drama series that would only connect “lightly” to The Avengers film… Then we found out Whedon signed a two-year exclusive contract with Marvel that not only included The Avengers sequel, but this television show… Whedon is confirmed to be writing the pilot along with his brother Jed Whedon and Maurissa Tancharoen (Dr. Horrible’s Sing-Along Blog, Dollhouse). 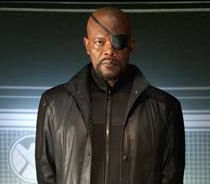 He’ll also be directing the pilot if his other Marvel activities don’t keep him away.” Read more about the pilot here. From The Jane Dough: In the midst of the craziness in Florida that is Hurricane Isaac and the RNC, The Huffington Post has found an oasis. Or, made one. Reports The Jane Dough, “The mega news site has everything from nap rooms to ‘Mint Romney’ lotion — at least at the publication’s RNC Oasis. To get through the epic, stormy week at Tampa, HuffPost reporters can use “Mint Romney” Bliss lotion, which can be found at their RNC Oasis. 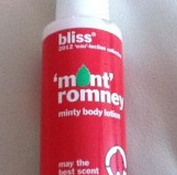 The lotion is of course for the 2012 “eau”-lection and the cover sticker reads, “may the best scent win!” The writers also apparently have votive candles, so it sounds like they’re pretty well taken care of in Florida.” Read more and see the lotion here. 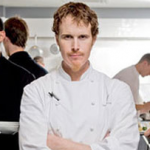 From The Braiser: Yesterday, The Braiser announced the exciting news that famed restaurants Alinea and Eleven Madison Park would switch places for a week. Today, they are reporting less fun news: it’s going to cost big bucks. 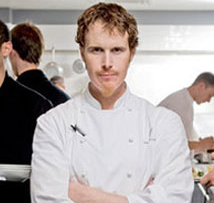 Reports The Braiser, “If you are a non-wealthy person who is a fan of both Alinea and Eleven Madison Park, and are also totally excited about their upcoming collaborative effort The 21st Century Limited, you’re going to be a little sad at the news that it’s going to be real expensive. As if $495 per person weren’t enough, there’s a little something called “tipping” and “taxes” and we all have to pay those.Bloomberg food critic Ryan Sutton, based in New York City, crunched the numbers at his blog The Price Hike, and found that after the obligatory taxes/service charge, a dinner for one will cost $647 per person, or $1293 for a dinner for two.” Read more about the numbers here.